Posted April 8, 2019 by Seán Kinane & filed under News and Public Affairs, Transportation. In February, the board of Hillsborough County’s transit agency unanimously selected its next CEO, Ben Limmer. He began work at the Hillsborough Area Regional Transit Authority late last month. He had been the assistant general manager at MARTA, the Metropolitan Atlanta Rapid Transit Authority. Limmer was a guest on WMNF’s MidPoint. 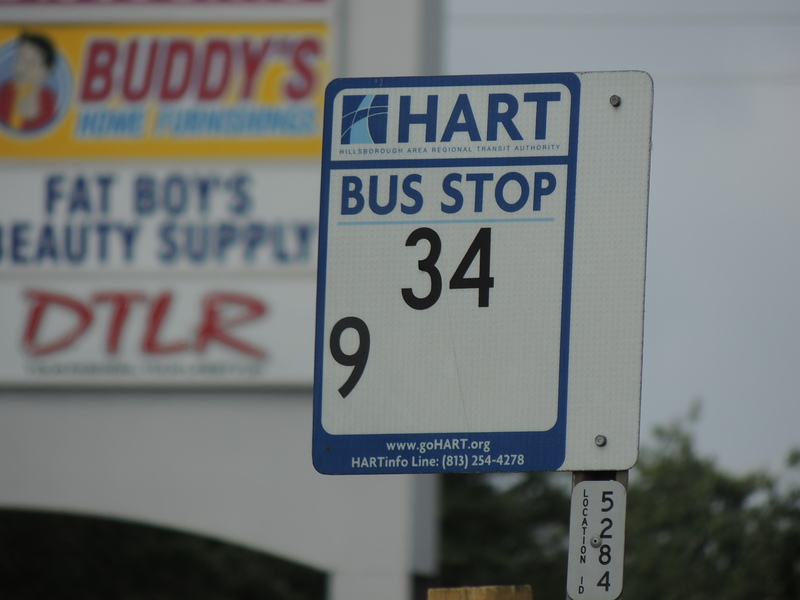 Last November, Hillsborough County taxpayers approved a sales tax increase that could bring $1.4 billion to HART over the next ten years – but it’s in limbo right now because of a lawsuit by County Commissioner Stacy White. The current budget is about $80 million. The potential new tax revenue could be more than $130 million. We heard from Limmer about how to go about running a transportation agency without knowing what next year’s budget will be, especially since the budget needs to be in place by October. Limmer also talked about his experiences in other cities, especially Phoenix, which has light rail. At first glance it seems very similar to Hillsborough County – a large population but spread out to distant suburbs. Rail funding was approved by a sales tax increase referendum. “As far as how it compares to Tampa, the Phoenix system was by-and-large constructed in city streets. There’s some opportunity to do that here. But also, given some of the traffic congestion challenges that we have, we will be looking for other right-of-way opportunities. That’s kind of what’s unique about the Tampa region. It’s more like what we had in Atlanta when we were looking at light rail lines there,” Limmer told WMNF. Other right-of-way options includie using CSX tracks. We talked about FDOT’s proposals to expand interstate highways through what’s called Tampa Bay Next (previously, TBX) and how HART could work with the Florida Department of Transportation. We also looked at regional transportation connections including an express bus option from St. Petersburg through Hillsborough into Pasco County. Also on the show we heard a preview of an action that’s happening Monday night in St. Petersburg. Faith and Action for Strength Together or FAST Pinellas is holding its annual Nehemiah Action at Tropicana Field. WMNF spoke with Robert Ward. He’s pastor of the Mount Moriah Missionary Baptist Church and a former co-chair of FAST.